It takes time to reach success with online marketing and there’s really no way around it. However, one of the best things you can do for yourself and workload, is simply look into outsourcing small tasks to leverage your time. Small tasks can easily be taken care of by someone else so that you can focus on other areas of your business. 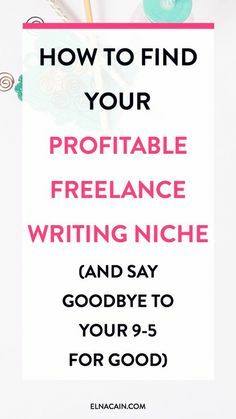 Learning how to do this is not difficult at all although most people believe that it takes a lot of time to find a good freelancer. If you look in the right places, it’s really not that hard to find someone online who can write articles, a copy, submit to directories, build a site, do graphic design, and many other different services. Your workload can be quite heavy and outsourcing it is the way to go. There are several options available to find a reliable person to outsource to. Fiverr is a great place to start especially if you’re on a budget. You may have a small task at any given moment, and outsourcing it here will save you the time and hassle of getting it done. Make sure you understand that Fiverr is a “hit or miss” type of site. What I mean by this is that you might get a good return on investment or you might not. Sometimes you’ll have to go through a few people to get one that does the job you want, the right way. Again, this all depends on what you are outsourcing. You will find many people offering all sorts of services for only $5. It can be anything from passing out flyers for your business to providing you with Facebook fans, and almost anything else that you can think of to help your business. I would suggest looking at the ratings and top sellers for the service you want. Most times, the first three on the list are your best bet to choose from. Keep in mind, nobody wants a bad review. If you are not satisfied, try to work it out with the seller. If that doesn’t work, then do what you have to do and move on. For the most part, I’ve had an equal experience with Fiverr. Some good and some bad. I would also suggest getting recommendations from other people in your community or colleagues to see who is best to use for your projects. It would save you a headache, that’s for sure. It really doesn’t matter what you’re looking for, outsourcing small tasks with Craigslist helps. Many people are looking for jobs, and I mean they are in desperate mode. So, when you are dealing with classified ads, you can write about what you’re looking for and what your requirements are. It’s best to be clear and precise so that you weed out people aren’t qualified for the task. You might even get a heavy response so be prepared. Use Blogger or Google Sites to create a web page. Use Google Drive to create a form with your most important questions. Put this form on the site you created, a brief description of what the job entails, and drive the traffic from Craigslist to your site. Guru.com works a little different. You can post a job just like you would on Craigslist, but this site allows only outsourcing work to be offered. Guru.com is very much respected in the outsourcing industry, and you will more than likely find a great freelancer from this site. Once you find the right person who can outsource your tasks online, then you can give them what you’re in need of. Once again, make sure that you are precise in what you’re looking for in their services. Odesk is huge. I’ve had my ups and downs with Odesk but overall it is a good outsourcing site. They’ve recently merged with Elance which makes them even better now. You may have some huge projects that need to be done such as website design or virtual assisting. There are some freelancers on Odesk that will charge as low as $2 an hour for their services. Most of them are willing to work out a price depending on what you need to accomplish. is set up from start to finish. I would suggest interviewing each applicant first to make sure they are a right fit for the job. Outsourcing small tasks doesn’t have to be difficult, but you will have to try people out before making a final decision on who you like. Sometimes it can be hit or miss, depending on the task and clarity of work given to the freelancer. Some people will not do the best job, and if this happens, move on to the next one. Don’t stop until you’re satisfied. Check out my top 5 tips for outsourcing small tasks. As you can see, there are so many ways for you to outsource, but often times people can tend to make costly mistakes when finding a great outsourcing provider. Nothing is better than taking your time to find somebody to provide services for you. This will allow you to think through and find someone who can really provide the best service that satisfies your needs. Those who rush through the process, make is a disaster and you’ll be back at square one. There are some things you just can’t get around. If you want good service, you have to pay for it. What I mean by good service is professional service. Freelancers work hard to provide good service. If you find someone you like, treat them good. Sites like Guru.com (mentioned above) and elance.com allow for you to seek the type of workers you’re in need of for your next project. Freelancers send in their resumes, experience, etc., and give you the chance to find the best fit. You can also upload projects on Freelancer if you are in need of a task to be completed for your WordPress site. You can save money if you need work on many projects by paying somebody monthly or weekly to do different tasks for you. Outsourcing it this way will save you lots of money and time in the long run. Avoid as much confusion as possible. You need to let the freelancer know exactly what you want the first time. This removes all of the difficulties involved with having to repeat and resend their completed work. These are some of many tips that you will find about outsourcing. Now, if you haven’t already, try doing them. Have you outsourced work for your business before? Visit my Facebook Fan Page or comment below and tell me about it. These are great tips to know (and to pass along to work at home moms)! Thanks for the wonderful resources on outsourcing! I think the hardest part for us aspiring entrepreneurs is learning to let go and trust a total stranger. I’ve only heard of fiver and odesk…. thank you for sharing this list which opens up more options to outsource certain work out. Useful list. What excellent advice. I’m sure anyone with an immense work load would be glad to take advantage of your research. 1. I love your pictures. Where did you get the stress-out looking girl? You are spot on here. I can honestly share that outsourcing small task has done nothing but enhance me impeccably. Hired me a VA and never look back since. Fiver is my secert weapon of money making mass distruction LOL. Often times we as “entrepreneur” tend to want to do everything ourselves and not realizing we are not super heroes. We have to outsource and get hired help. Just saves so much time, frustration, and best it saves one from being overwhelmed and burnt out. Hi Janice, I agree with that one. I guess we’ll just have to create our own jobs and bring the value back. You think? Very true. I don’t think I outsourced anything for the first couple years. It’s a risk sometimes but it’s worth doing.